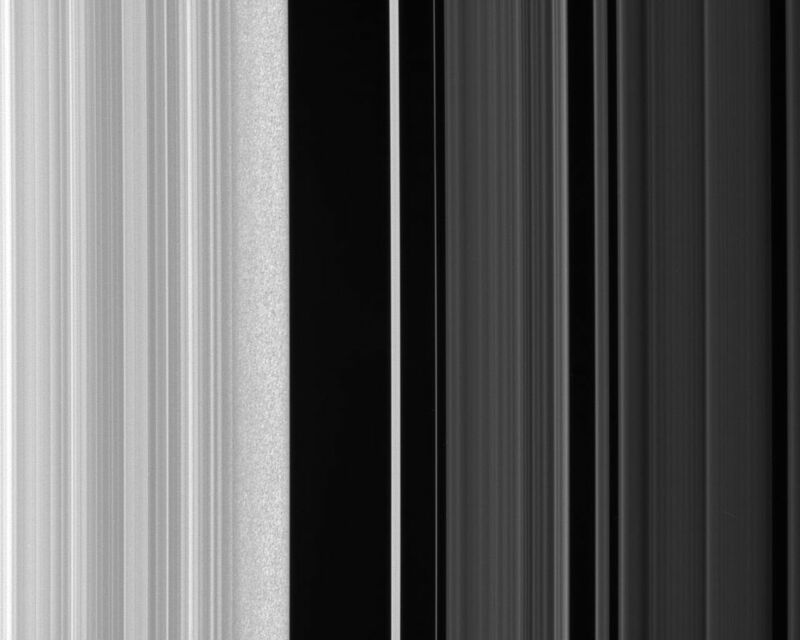 The Cassini spacecraft stares at the Huygens Gap— the region between Saturn's outer B ring and the ringlets of the prominent Cassini Division—in this high-resolution view. 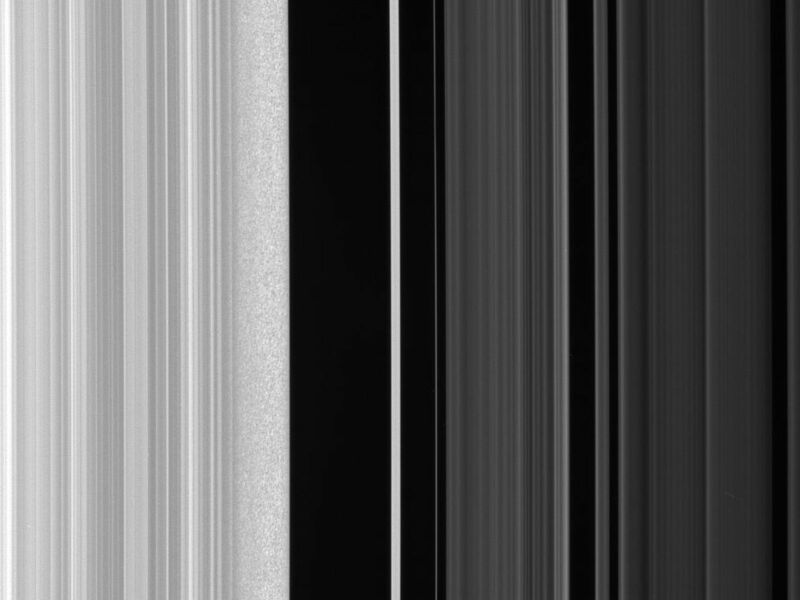 Ring scientists think that the scrambled pattern seen here in the B ring's outer edge might represent gravitational clumping of particles there—that is, the self-gravity of groups of particles orbiting together makes them form clumps. The outer B ring edge (at left) is maintained by a resonance with the moon Mimas. 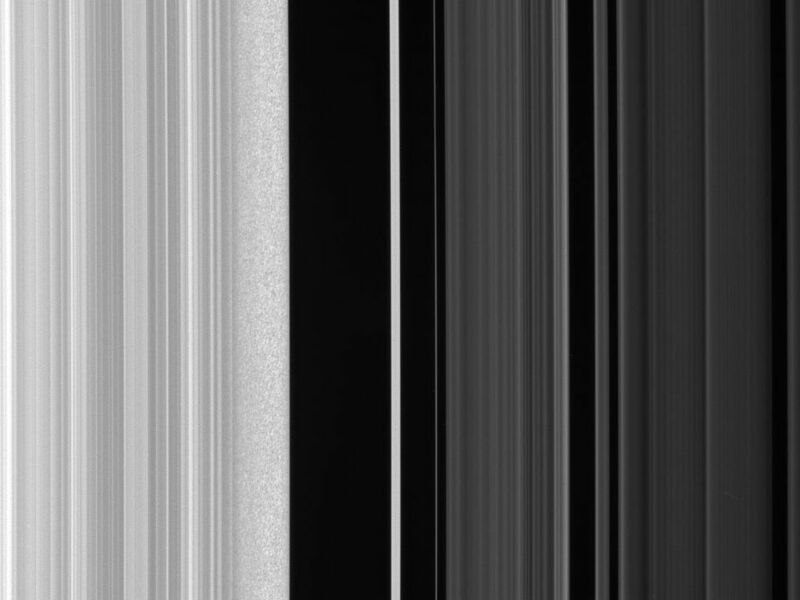 The clumping feature may be due to the fact that this region is compressed periodically, owing to perturbations by Mimas. 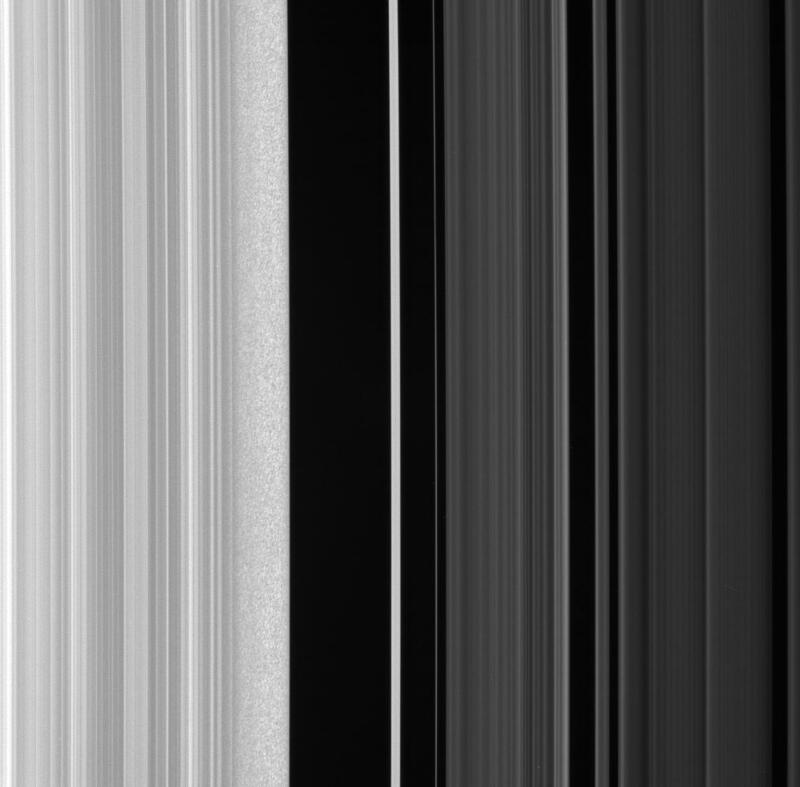 Cassini will take additional images of this region as researchers continue to investigate the interesting feature. This view looks toward the sunlit side of the rings from about 43 degrees below the ringplane. 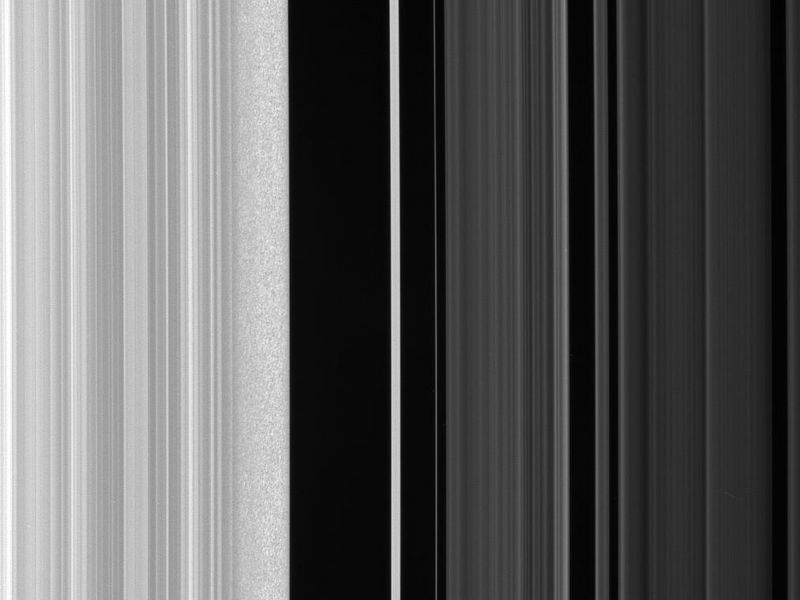 The image was taken in visible light with the Cassini spacecraft narrow-angle camera on Jan. 28, 2008. 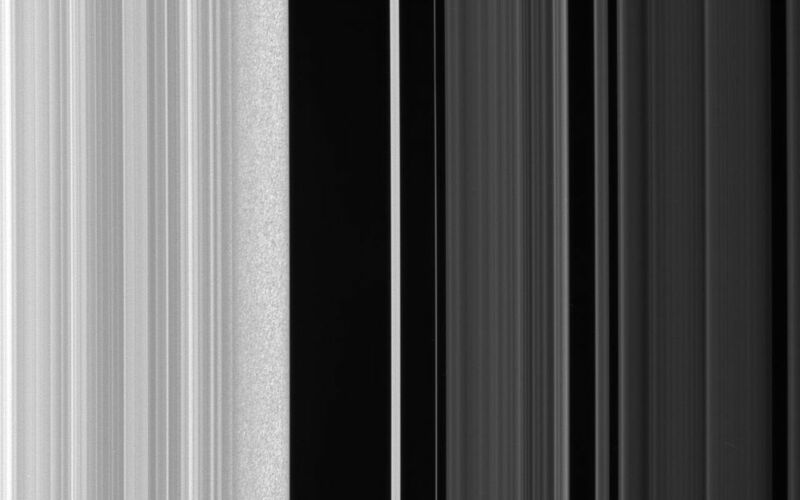 The view was obtained at a distance of approximately 246,000 kilometers (153,000 miles) above the rings and at a Sun-ring-spacecraft, or phase, angle of 84 degrees. Image scale is about 1.5 kilometers (0.9 miles) per pixel.